ParkMap, synonymous with the creation and management of the UK’s traffic orders, has taken a major step forward with its launch as a cloud service. A high-resolution image is available for this press release. As a Cloud Service, ParkMap7 comes with a host of goodies designed to provide a hassle-free service covering all aspects of traffic order management. These include a comprehensive set of tools for managing and generating traffic orders, encompassing version and document controls needed for producing legal documents. The service can include easy-to-use web apps which receive their data directly from ParkMap. 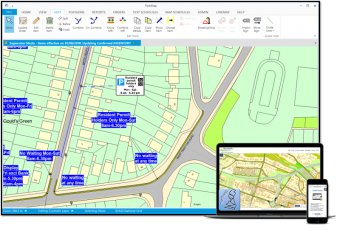 The web apps available include one for public access of all on-street traffic restrictions, one for local authorities, allowing them to carry out public consultations on new schemes, and a protected one for Civil Enforcement Officers to log defects. The whole service is wrapped within an iso27001 resilient environment, supported by an expert team who not only provide a traditional support desk service, but also a series of webinars to provide guidance on the new features. All future releases of ParkMap should be accompanied by similar training webinars. 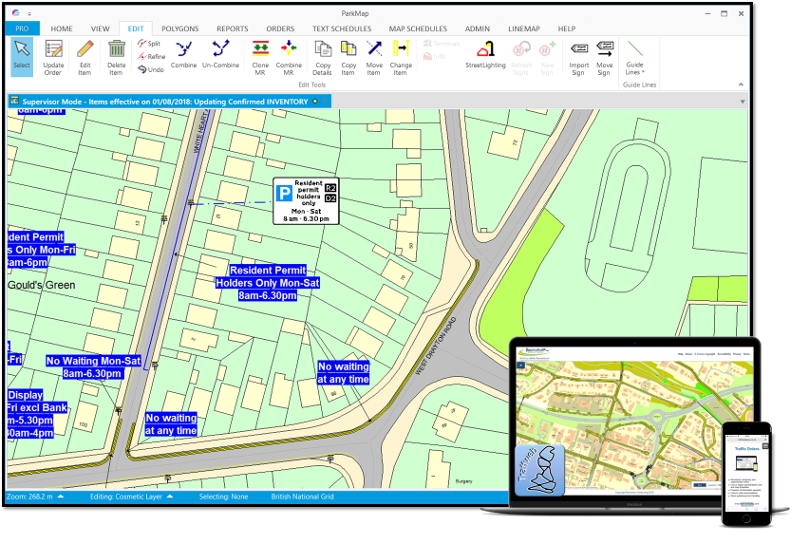 ParkMap 7’s Cloud service represents a sea-change in ParkMap development, as the service as a whole has been built using a fusion of open source and preparatory software, providing an efficient solution for authorities to manage all aspects of their traffic orders.